"Our school has raised over $12,000…"
This is a community fundraiser that can be used by any school or parent association. It helps students develop their numeracy skills while raising money for their school. The event is entirely managed within the school. 100% of the money raised goes to the school. Students are sponsored to answer as many questions as possible in a 2 minute period. $12,000 in less than a day. "Our school has raised over $12,000 in less than a day, while all of the students learnt and had fun. Thank you so much!!" 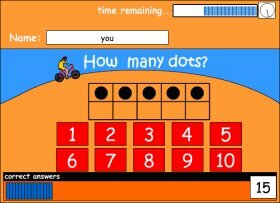 "I have run the Studyladder Mathethon for 5 years running. The average amount of money raised has been $5000! It is a super fast, super easy fund-raiser that has proven successful in promoting the learning of math facts in our K-8 school. We pretest all of the students on their math facts using the site. On average, student's will achieve 5 or 6 questions in 2 minutes. By the end of a three week practice/pledge raising time, the average student will score between 45-60 in 2 minutes! Using this fund-raising tool, raises money, but also parent awareness of the lack of math fact knowledge of their children. It also shows parents that we as educators believe math facts ARE important. Both the site and the Mathethon organization are amazing! Thank you!" Kathleen Sumners, Montgomery School, SKATOON, Saskatchewan, Canada. 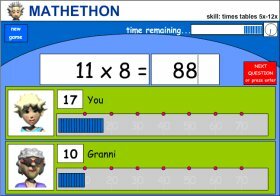 The Mathethon is a FREE resource for parents and schools to use. 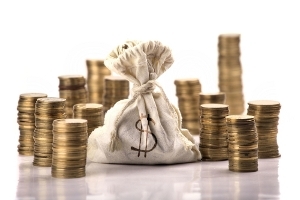 It can be used to raise valuable donations for your school or simply to increase your students awareness of mathematics. Please choose the level your teacher has advised you to use.